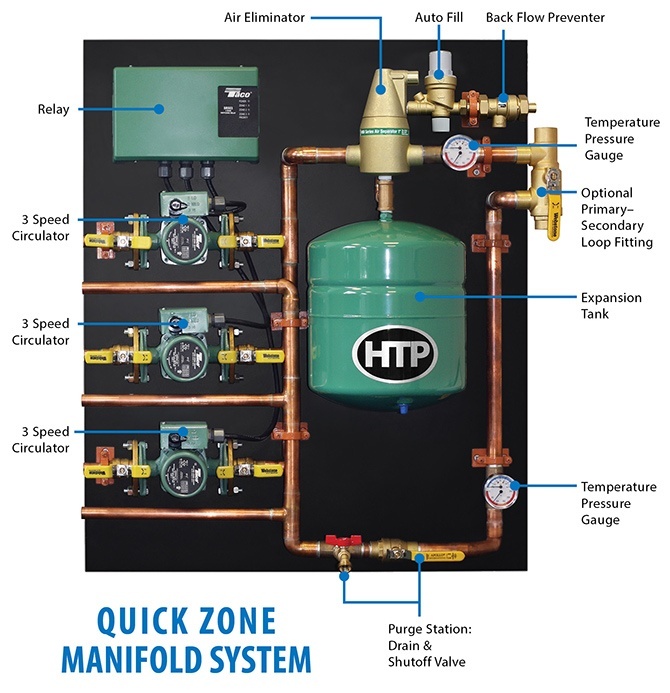 We are pleased to announce that our Quick Zone Manifold System is now available with ECM pumps. These ECM pumps use less electricity, resulting in a higher efficiency system. The pumps are available for rebates in select territories for up to $400. They are available for shipment immediately. Contact HTP's Customer Service Department if interested. The Quick Zone is also available with pumps or zone valves.